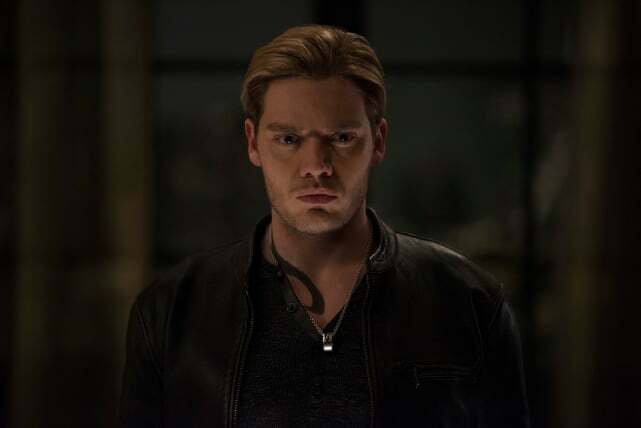 Shadowhunters Photos From "A Heart of Darkness"
Who will win out in the inner battle for power: The Owl Demon or Jace? That is the question for Shadowhunters Season 3 Episode 8. Now with Jace confined to the Malakai Configuration, the group has the time and means to work on a cure to free him from Lilith's control. They want their brother/friend/boyfriend back from his evil state. However, they're going to need the right spell or potion to break the curse. Based on the preview photos below, the group is confronting their demon head on. 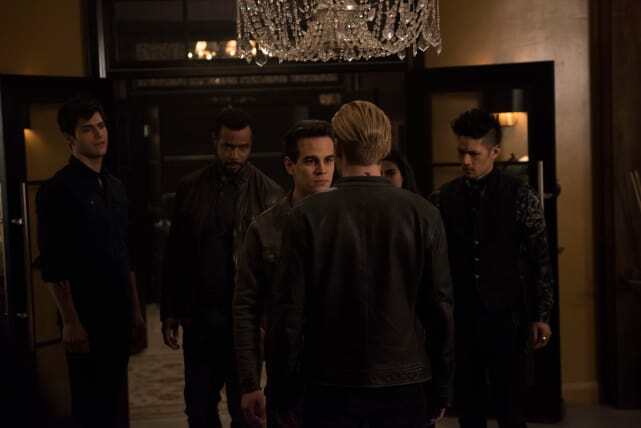 Simon, Alec, Magnus, Isabelle and Luke are taking the fight to Jace to try and break through the mind control. From what we saw during Shadowhunters Season 3 Episode 7, Lilith's hold on his mind was strong. Talkingt to him may not work, but could they discover the trick that could bring him back from darkness? Check out the photos below from "A Heart of Darkness," which airs Tuesday, May 8 on Freeform. And don't forget, you can watch Shadowhunters online via TV Fanatic to get caught up on all the past action. Hiding away behind that stern face is the Owl Demon, the cause of all the corruption in New York City due to Lilith's control. Will the group be able to free Jace from its clutches? The group is taking the Owl Demon/Jace problem head on. 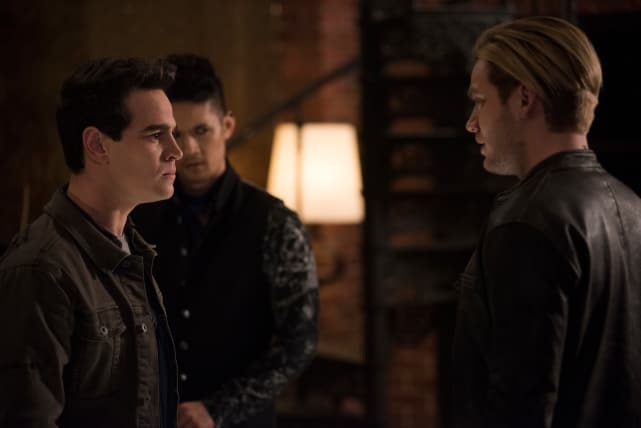 From the look Simon is giving Jace, he is going to knock some sense into him if he has to. 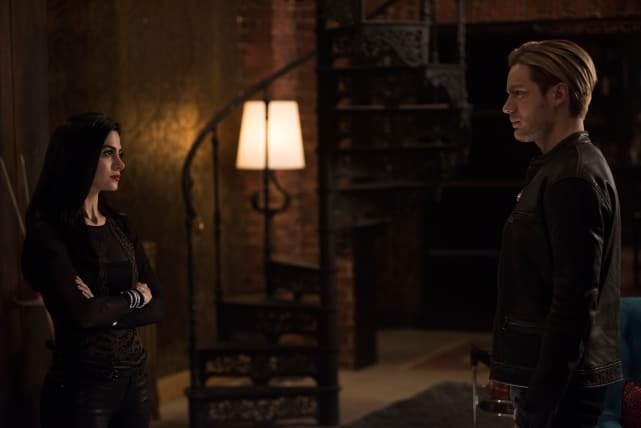 Whatever frenemy situation they had before Jace got captured in the Configuration is now gone. The Owl Demon is Simon's enemy and a big problem. Isabelle is confronting the beast after his less-than-kind words about her and Dr. Charlie. Still, she's not going to let the demon have control over her brother. 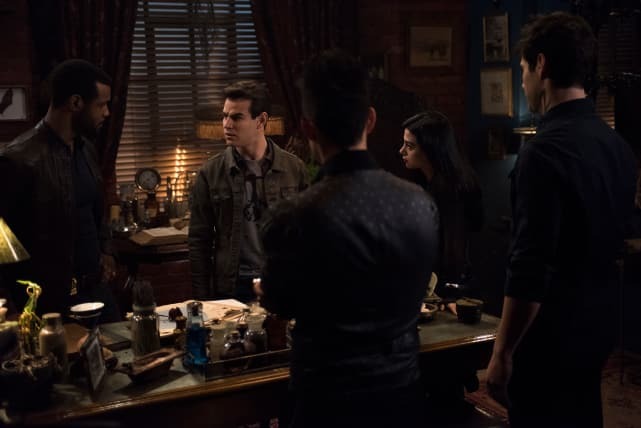 Luke, Isabelle, Simon, Alec and Magnus have come together to figure out a plan in tracking down Lilith, freeing Clary and curing Jace. 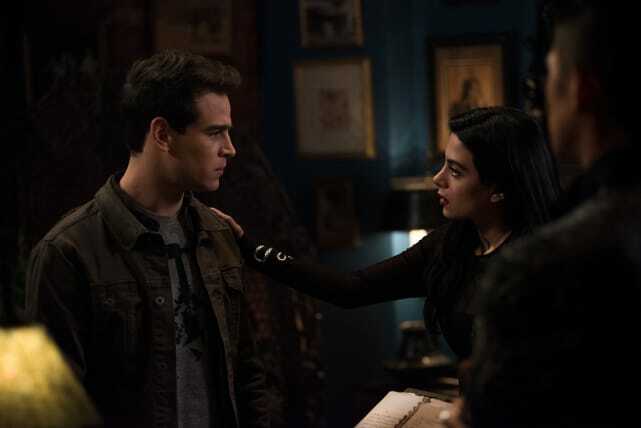 As Clary's best friend, Simon is sad about letting her down and not stopping her from getting captured. Izzy is there to support him.